Tim Jochner grew up in Walnut Creek not far from where Shadowbrook Winery stands today. Like the wine growing region itself, Tim has deep roots here and takes tremendous pride as the catalyst in revitalizing the grape growing industry that once thrived here before prohibition. 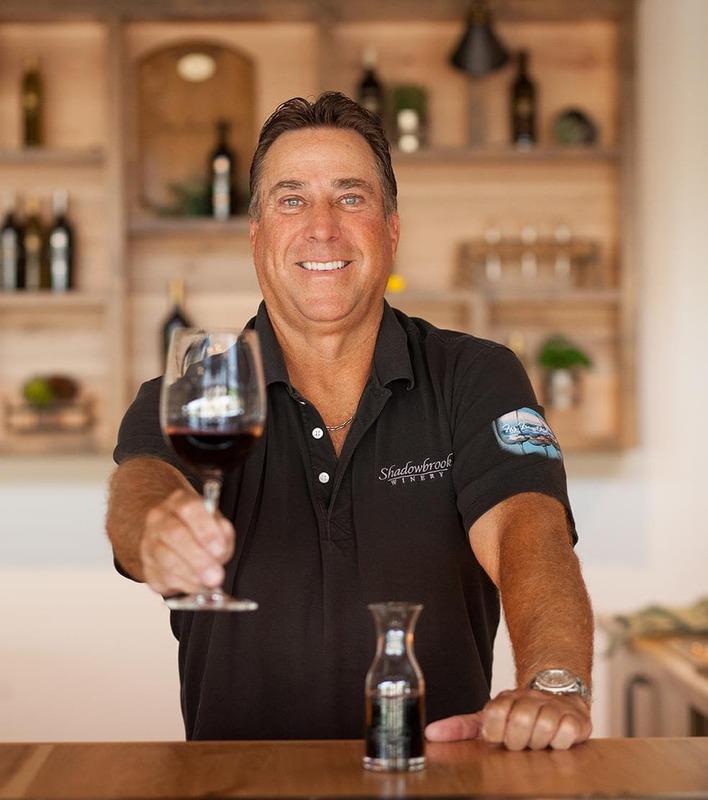 Proprietor and Wine Master of Shadowbrook winery since its inception in 2005, Tim has become the preeminent winemaker in the region. For the past 13 years he has been crafting wine by hand, learning the dynamics of the soil, the environment and the fruit to create award-winning wines from 14 different varietals. More than just an owner, Tim is a “hands on” winemaker, manually working every aspect of the process. He has mastered the art of farming, picking the fruit at precisely the right time, implementing specialized techniques in the winemaking process and blending wines to produce a variety of wines for the most discerning pallet. Critics agree, with Shadowbrook taking home 60 medals over the years – including double golds – from the San Francisco Chronicle Wine Competition. Today, with the new Shadowbrook Winery, Tim has incorporated the latest in technology and equipment to compliment his deep understanding of the Terroir, the vineyards and his craft to meet the demands for this truly custom stable of wines. RICK TRACY grew up on a dairy farm in coastal Oregon. He switched from producing one healthy beverage to another when he was drawn to the mystique of wine country in the Napa Valley during the late 1970’s. Rick earned his Masters Degree from the Viticulture and Enology Department UC-Davis, and is as comfortable in the vineyard as in the winery. His winemaking career spans over 25 years crafting the A-Z of varietals in both super and ultra premium quality, all receiving both professional and consumer accolades. Rick enjoys being on the cutting edge of winemaking while trusting the intuitive and sensory experience seen from his years of winemaking discovery. Making wine in Napa Valley, Sonoma County, Oregon, and consulting adventures in China and Argentina have given Rick a rich and varied palette from which to draw. His experience as a judge at the Orange County Fair and his interest in wine technical groups have highlighted the diversity of California’s many unique terroirs. Rick believes the lush fruit grown at the base of Mt Diablo is the nexus towards crafting a superior Contra Costa County wine. “I am thrilled to be a part of Tim Jochner’s elegant vision. Shadowbrook reminds me of the family owned wineries in the Napa Valley in the 1970’s… boutique, all about quality, with family and friends pitching in just for the delight of it. Tim is doing a stellar job reintroducing this important historical appellation to the public. Shadowbrook wines are approachable, supple, unstuffy, and can stand up easily in quality to their Napa Valley counterparts.